Clth, 5.75 x 7.75 in. / 262 pgs / 25 color / 40 bw. One of the most celebrated painters of his day, John Singer Sargent defines for many the style, optimism and opulence of turn-of-the-century America. Among his renowned portraits, "The Daughters of Edward Darley Boit" stands alongside "Madame X" and "Lady Agnew of Lochnaw" as one of Sargent's immortal images. This painting depicts four young sisters in the spacious foyer of the family's Paris apartment, strangely dispersed across the murky tones and depths of the square canvas, as though unrelated to one another, unsettled and unsettling to the eye. "The Daughters" both affirms and defies convention, flouting the boundaries between portrait and genre scene, formal composition and quick sketch or snapshot. 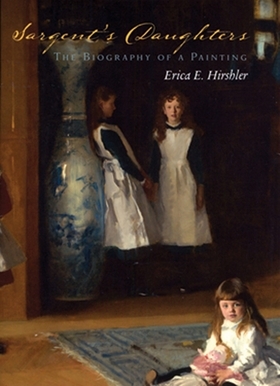 Unveiled at the Paris Salon of 1883, it predated by just two years the scandal of "Madame X" and was itself characterized by one critic as "four corners and a void"; but Henry James came closer to the mark when he described the painter as a "knock-down insolence of talent," for few of Sargent's works embody the epithet as well as "The Daughters of Edward Darley Boit." Drawing on numerous unpublished archival documents, scholar Erica E. Hirshler excavates all facets of this iconic canvas, discussing not only its significance as a work of art but also the figures and events involved in its making, its importance for Sargent's career, its place in the tradition of artistic patronage and the myriad factors that have contributed to its lasting popularity and relevance. 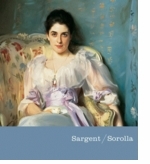 The result is an aesthetic, philosophical and personal tour de force that will change the way you look at Sargent's work, and that both illuminates an iconic painting and reaffirms its pungent magnetism. FORMAT: Clth, 5.75 x 7.75 in. / 262 pgs / 25 color / 40 b&w.